Producer Contest 2014 - Winners Announced! The results are finally in and we are extremely happy to announce the winners of the Wave Alchemy 2014 Producers Contest. Over the past 2 weeks we have listened carefully to all 240 entries and have discovered some truly inspirational music along the way. Due to such a high volume of well-produced tracks we have decided to announce an additional 10 runners up along with 1st, 2nd and 3rd places. Again we would like to thank you all for participating in our contest and supporting our label. We simply wouldn't be here without you. Wave Alchemy is a UK-based sound design company specializing in innovative sound production that inspires producers and musicians throughout the recording industry. Our samples, loops and virtual instruments are ideal for dance music production, film sound production, television and broadcasting, multi-media production, games developers, composers, DJ's and anything in between. We pride ourselves on producing high quality sounds which have been passionately created using a wide range of vintage and new-age recording equipment. 1st place wins a full NFR licence for Native instrument's ground breaking Kontakt 5 sampler! u-he is a Berlin based audio software company founded in 2001 by Urs Heckmann. Especially well known for the Zebra2 software synthesizer, u-he has developed several other successful products over the last decade. 1st place wins a full licence for u-he's brand new Bazille FM synth. Bazille is billed as a digital modular synth - mixing the traditional analogue modular model with some digital enhancements. Bitwig is an international music software company based in Berlin. The company was founded by four music enthusiasts with extensive experience in the music technology industry and a strong vision about new cutting-edge methods of music production. 1st place wins a full licence for Bitwig Studio. Mike Monday is a veteran DJ and music producer with over 300 commercial releases to his name. With a thirst for helping music producers make more music in less time with better results, Mike has become a hugely successful coach for music producers and beyond! 1st place wins a 60 min one-on-one skype coaching session with Mike Monday, entry to Mike's SNFF (Start Now Finish Fast) program and a 6 month subscription to MMYL (Make Music Your Life). 2nd place wins entry to Mike's award winning SNFF (Start Now Finish Fast) program and a 6 month subscription to MMYL (Make Music Your Life). AskAudio Magazine is your ultimate daily resource covering the latest news, reviews, tutorials and interviews for digital music makers, by digital music makers. AskVideo is an online education community for both Windows and Mac users, training on the world's leading creative software and applications. Courses include videos on Adobe CS, Logic Pro, Ableton Live, Final Cut Studio, InDesign and more. Synapse Audio Software has delivered software for professional music producers since 2000. 1st place wins Synapse Audio Dune 2 VST synthesizer. Dune 2 is a powerful advanced polyphonic synthesizer VST/AU plugin, built around Synapse Audio's eight-layer Differential Unison Engine concept. Since 1994 Propellerhead has created some of the world's most innovative music software applications, interfaces and technology standards. Today Propellerhead's products are used all over the world by hundreds of thousands of professionals and enthusiasts for all kinds of music making. 1st place wins a full licence for both Reason 8 and Recycle! With its intuitive flow and musician-friendly design, Reason catalyses your creative process. Easy to get started with, yet as deep as you want it to be, Reason is the software that keeps you focused on what matters most: your music. ReCycle is a creative tool that helps you make the most of your grooves. In simple terms, ReCycle lets you do with sampled loops what you can do with beats programmed from individual drum sounds - like alter the tempo, or replace sounds and process them individually. SoundCloud allows everyone to discover original music and audio, connect with each other and share their sounds with the world. In addition, sound creators can use the platform to instantly record, upload and share sounds across the internet, as well as receive detailed stats and feedback from the SoundCloud community. Fabfilter create powerful audio plug-ins with superb sound quality and innovative interfaces. 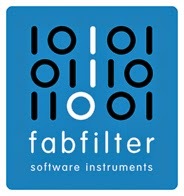 1st place wins a full licence for FabFilter's Pro-Q 2 EQ plugin. An equalizer is probably the tool you use most while mixing and mastering, so you need the best of the best! With FabFilter Pro-Q 2, you get the highest possible sound quality and a gorgeous, innovative interface with unrivalled ease of use. Loopmasters officially started off as a sound design label in 2003 with the aim of producing flexible sample libraries for music producers and musicians. Over the years they have become the most successful distributor of sample and loop libraries in the world, working with some of the best sample labels and industry pros to deliver the sounds you need for your productions. 1st place wins 5 Loopmasters Artists series sample packs of the winner's choice. IK Multimedia's Total Studio 3 Bundle offers everything you need for your studio at one time for one low price. It has the best virtual instruments in the industry, the best guitar and bass tone-shaping tools from the world's top manufacturers of gear and effects, plus the warmth of smooth vintage analogue mastering gear to hold everything together. IK Multimedia's SampleTank 3 is an industry standard virtual instrument workstation with an extraordinarily large sound library of over 33 gigabytes of professionally recorded instruments - that's over 4000 instruments in 21 instrument categories! MusicTech Magazine is dedicated to the latest trends, technique, gear, and software within the world of music production. The magazine is brought to you by a panel of dedicated experts working in the fields of recording, mixing, and mastering, across every major DAW and within studios packed with the latest and classic gear. Softube develops both hardware and software for the audio industry, striving to make the most accurate simulations possible of professional audio hardware. 1st place wins a full licence for Softube's Spring Reverb plug-in. Spring Reverb is an authentic spring reverb recreation that will add vintage character and grit to any audio track. It also includes novel features such as a fully automatable Shake control that will shake the virtual springs around for those thunderous spring effects. The iLok is a USB enabled smart key device that holds licences for participating software products. The iLok can hold over 500 licences from multiple software publishers so you can carry your licences to the office, studio, or client location. 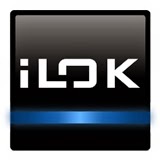 The iLok is portable, convenient, and hassle free. 1st place wins a limited edition iLok, a Dongle Buddy, a microfiber screen cleaner and a one year subscription to Zero Downtime coverage! The makers of Melodyne, the Grammy awarded software for pitch correction and creative work with audio. Melodyne is a software application for OS X or Windows with which you can edit audio in a more musical way than was ever thought possible. The competition closes on Friday 21st November at 23:59 (midnight) GMT. All submission must be received by the closing date and time. Submissions received after the deadline will not be valid. All entries must be made directly by the person entering the competition. Only one entry (track) per person is permitted. Entry is open worldwide to all countries and territories except employees of Wave Alchemy Limited or their family members or anyone else connected in any way with the competition or helping to set up the competition. All entries must be submitted via Soundcloud to the Wave Alchemy Producer Competition 2014 Group page. Entries submitted by other means will not be accepted. Winners will be chosen after the closing date at the discretion of Dan Byers and Steve Heath of Wave Alchemy Limited whose decision is final. The winners will be announced and notified within 14 days of the competition closing date. Entrants should 'make good use' of the supplied free Wave Alchemy samples, sounds and effects. We encourage entrants to be creative with the supplied free sounds; to process, re-arrange, cut and manipulate them to create something original. Along with the supplied sounds we very much encourage you to create original melodies, parts and patterns using synthesizers, drum machines, effects processors (software or hardware), and any of your own sounds/samples that you own a licence for! Any genre or musical style is welcome. To qualify for entry you must list the names of the free samples / loops you have used in the description box for the track in Soundcloud. The promoter is Wave Alchemy Limited, Company No: 07797886, 20 Burns Street, Ilkeston, Derbyshire, DE7 8AA, United Kingdom. No responsibility can be accepted for entries not received for any reason including incorrect entry submission or computer error during upload. The promoter reserves the right to cancel or amend the competition and these terms and conditions without notice in the event of a catastrophe, war, civil or military disturbance, act of God or any actual or anticipated breach of any applicable law or regulation or any other event outside of the promoter?s control. Any changes to the competition will be notified to entrants as soon as possible by the promoter. 1st Prize - Entire Wave Alchemy back catalogue, 1 year library pass to Ask Video, 1 year print subscription to Ask Audio Magazine, Bitwig Studio 1.0 full licence, Fabfilter Pro-Q 2 full licence, IK Multimedia Total Studio 2 full licence, IK Multimedia SampleTank 3 full licence, Loopmasters Artist Series sample packs (x5 chosen by the winner), Mike Monday 60 min one-to-one Skype coaching session, Mike Monday SNFF (Start Now Finish Fast) course, Mike Monday MMYL (Make Music Your Life) subscription, 12 Month subscription to Music Tech Magazine, Native Instruments Kontakt 5 NFR licence, Propellerhead Reason 8 full licence, Propellerhead Recycle 2.2 full licence, Softube Spring Reverb, Soundcloud One Year Pro Unlimited subscription, Synapase Audio Dune 2 full licence, u-he Bazille FM synth full licence, limited edition iLok, iLok Dongle Buddy, iLok microfiber screen cleaner, iLok 1 year subscription to zero downtime, Celemony Melodyne Editor full licence. 1st, 2nd and 3rd places will be chosen by Wave Alchemy based on the tracks we 'like the most'. 'Winning' means that you will receive the prizes offered by Wave Alchemy Limited and our participating partners. All prizes are subject to the prize suppliers' terms and conditions. The winners agree to use his / her name in any publicity material. Any personal data relating to the winner or any other entrants will be used solely in accordance with (UK) data protection legislation and will not be disclosed to a third party without the entrant's prior consent. Entry into the competition will be deemed as full acceptance of these terms and conditions, which are legally binding. Wave Alchemy Limited reserve the right to disqualify any entrant if we have reasonable grounds to believe the entrant has breached any of the terms and conditions. Your track does not infringe on the rights of any third party, including, but not limited to copyrights, trademarks, or rights of privacy or publicity, or other intellectual property rights. By entering this competition you indemnify Wave Alchemy Limited against any such infringements. Your track is not defamatory or obscene. "Loads of very cool loops for house and techno productions... Very well produced - The sound quality is top notch as you would expect from Wave Alchemy. Great pack!"